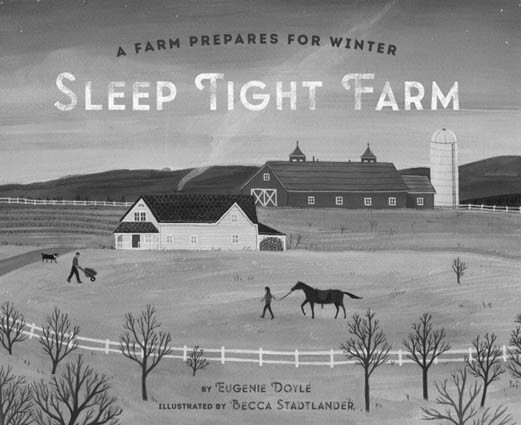 Saturday, March 11, 11 a.m.—RUTLAND—Children and families are invited to celebrate the turn of the seasons when kids’ author and local farmer Eugenie Doyle visits Phoenix Books Rutland Saturday, March 11, 11 a.m. for an event featuring her new book, “Sleep Tight Farm.” All ages are welcome to this free event. There will be a story time and Q&A on “What do farmers do in the winter?”, plus Doyle will bring along a couple of show and tell items from her farm. In January, “Sleep Tight Farm” was named the 2017 American Farm Bureau Book of the Year. The award springs from the Foundation’s effort to identify “accurate ag books,” a collection of nearly 500 books for children, teenagers and adults that accurately cover agricultural topics. Book of the Year selections are educational, help to create positive public perceptions about agriculture, inspire readers to learn more, and touch their readers’ lives as well as tell the farmer’s story. Phoenix Books Rutland is located at 2 Center Street in Rutland. Copies of the book will be available to purchase and have signed. For more information, call 802-855-8078 or visit phoenixbooks.biz.